Sensors that report On or Off conditions, Pulses, or Contact Closures. Passive Sensors: These sensors do not require external power to operate. They include various mechanical switches, pressure or temperature limit sensors, float switches, and rotating equipment with magnetic reed switches. Active Sensors: These sensors require external power to operate and provide a digital output. They include motion detectors, hazardous gas alarms, power analyzers, and electronic flowmeters. Sensors that measure something and report a corresponding value. There are thousands of analog sensors available - allowing measurement of anything imaginable.Wzzard™ nodes, from B+B SmartWorx, can measure 0-5V voltages or 4-20mA current directly. Other measurements are made by sensors or transducers that translate whatever is being measured to a voltage or current that the node can accept. Analog sensors can measure temperature, humidity, pH, pressure, flow, level, distance, sound, light or other parameters. Voltage Output: These sensors provide measurement as a 0-5V or 1-5V signal. They may be very low power. Sensors that run on 3.3V and require very low power may be powered directly by the node. Note that powering sensors with the node may affect battery life. Current Output: These sensors provide measurement as a constant current, are less susceptible to noise than voltage output sensors, but will require external power to operate. Alloy: Thermocouples measure temperature by generating a potential across the junction of dissimilar metals when heated. Different metals produce different outputs and are suitable for different uses. The different metals used in manufacturing a thermocouple determine its “Type”. Wzzard nodes, from B+B SmartWorx, can be ordered to read Type J (iron/constantan) or Type K (chromel/alumel) thermocouples. • Type J: Most accurate range is 0° to 750° C (32° – 1382° F). These are typically cheaper than other types and have a fairly high output-per-degree. 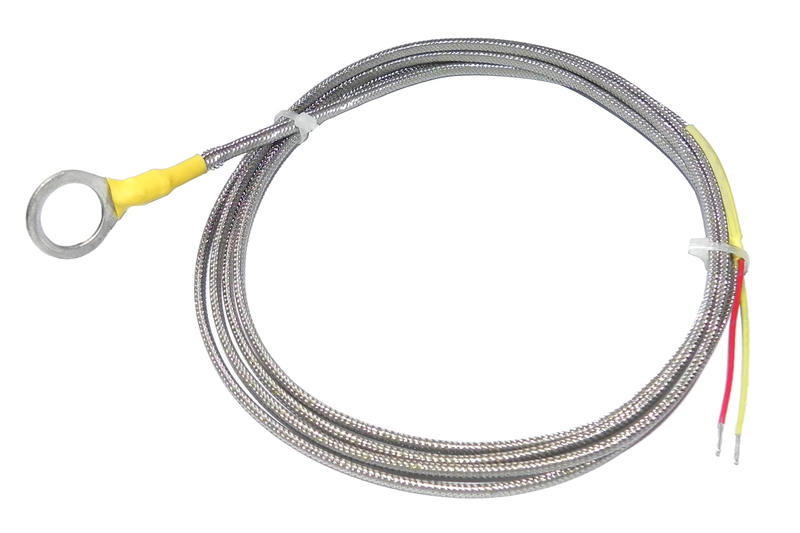 Exposed Type J thermocouples will oxidize at temperatures above 750° C, and should not be used in high moisture applications where the iron wire will rust and degrade. • Type K: Most accurate range is -200° to 1250° C (-328° to 2282° F). 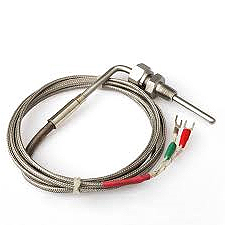 These can be used as general purpose thermocouples. Open Wire: Commonly used in lab applications, test equipment, and for air temperature sensing.Open wire thermocouples can have PVC, Teflon, or fiberglass insulation. They can also have itemswelded to the junction such as mounting lugs. Ceramic: Consist of metal rods separated by ceramic insulators. Typically used in protection tubes inhigh temperature applications such as plastics and heat treating. Magnesium Oxide (MgO): These thermocouple assemblies consist of a thermocouple elementswaged in a hard-packed Magnesium Oxide mineral insulation and encased in a metal sheath.Sheaths can be stainless steel, Inconel, or other exotic materials. They are commonly used inplastics molding machinery, food service equipment, fluid handling, and automotive applications. Junction: Thermocouples come in 3 different junction types: Grounded, Ungrounded, Exposed. Grounded: The junction is physically connected to the sheath or protection tube. Grounded thermocouples provide faster response times than ungrounded probes but are more susceptible to ground loops and electrical noise. Ungrounded: Slower to respond than grounded thermocouples but less susceptible to ground loops and electrical noise. Exposed: Fast responding and less susceptible to ground loops and electrical noise but susceptible to oxidization and contamination in some environments.